To get the best value in TV repair, check local repair shops' customer reviews and then call to compare their services and fees. Dean TV Repair 10815 N. Lamar Blvd. Bond's Television 1010 West Lynn St.
TV-Repair.us 2121 W. Parmer Ln. For a great value use our online coupon. Today many TV repair shops employ entry-level workers who lack the skills for accurate repairs. Because they do not have the knowledge and tools for precision troubleshooting, they often replace entire TV circuit boards when only a few, small parts have failed. The result is a long wait for replacement boards to arrive and a much higher cost to you. 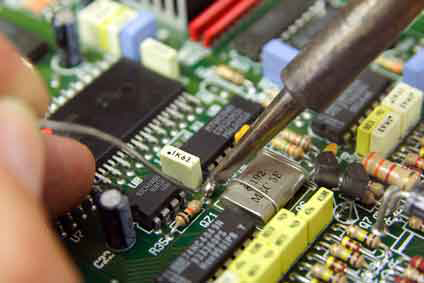 At Dean TV Repair we strive to repair only what’s needed, in the minimum amount of time. Many repairs can be completed the day you call, in your home, while you wait. Skilled technicians and good customer service are why Dean TV Repair consistently receives five-star customer reviews. Call (512) 832-9999 for free telephone consultation.